If you know anything about the history of pop music, it is impossible to watch Whale Music and its star, Maury Chaykin, without thinking of Beach Boy Brian Wilson. Chaykin, who won the Best Actor Genie for his work in this film, plays Desmond Howl, a former rock star who has lived in seclusion in a ramshackle seaside mansion since the death of his brother Danny (Paul Gross) in a car accident. 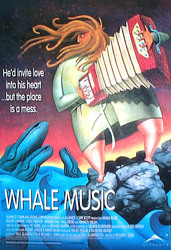 Howl spends his time composing a symphonic masterpiece for the whales who congregate in the ocean near his property. 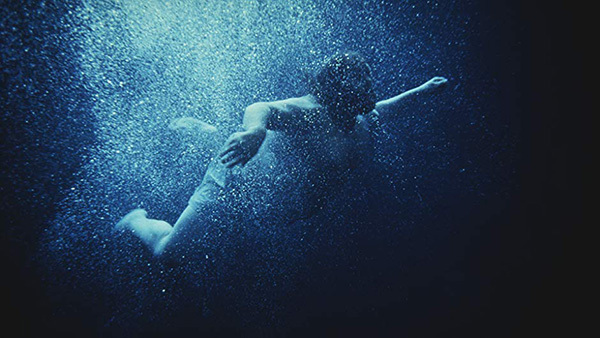 His reason for this is revealed in the title of one of his songs, “Have You Seen My Brother?” — Danny died by losing control of his car and driving off a cliff into the ocean. One day, however, Howl awakens to find Claire (Cyndy Preston), a mysterious young woman, in his living room. Although Howl`s world is disrupted, Claire ends up inspiring him to complete the symphony, to write his first great pop song in years, and to begin seeking connections with people again.